Looking for a unique way to reinvent a room? Get new custom interior shutters. No other window treatment is as traditionally arresting as interior shutters. Their decorative appeal is a clear indication of a purposely fashioned interior design scheme. Modern interior shutters are classically American and can be utilized to beautify any style sensibility. Whether your home is modern, traditional, or contemporary, new custom interior shutters can be fabricated to compliment your décor. To discover why we’re the trusted resource for new custom interior shutters in Texas, contact us to schedule your free in-home interior shutters consultation today. Southern Shutters and Blinds is a full service window treatment manufacturer and installer, now proudly servicing happy customers throughout Georgetown and Manor, TX, Austin, San Antonio, Georgetown, Round Rock, Liberty Hill, and the surrounding communities. 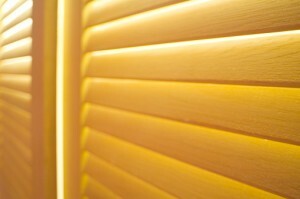 Why Choose Custom Interior Shutters? Custom interior shutters provide the most light control, privacy, and protection against the elements. They make a powerful statement and their clean lines and rich textures can beautifully frame your outside view. Our custom interior shutters are available in a wide variety of frames, louver and sla t sizes, and specialty shapes to match the unique décor of every room in your home. Custom interior shutters can add an aura of refinement to any room. Upgrade your home by scheduling a free in-home consultation with our experienced custom interior shutters team today. Southern Shutters and Blinds proudly serve families throughout Georgetown and Manor, TX, Austin, San Antonio, Georgetown, Round Rock, Liberty Hill, and nearby areas.